There’s nothing like a trying out a new guitar effects pedal. 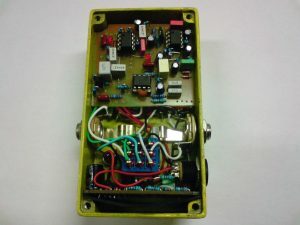 Especially when you have built it from scratch, designed the circuit, created the circuitboardlayout , etched, populated the board and mounted it in a fresh painted box. Check out my builds through the dropdown menu in “Effects” above.